SONANCE Landscape series is a revolutionary new system which brings the highest level of quality, distributed audio to your outdoor area. It brings a whole new level of atmosphere and ambiance to outdoor entertaining. Why Choose SONANCE Landscape Series? Incredible sound which rivals an indoor audiophile sound setup. 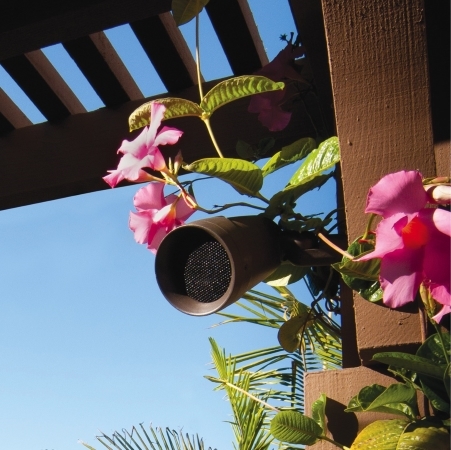 Covers any outdoor area in perfectly balanced audio. Satellite speakers and bundled subwoofers strategically placed around the perimeter direct sound towards the listening area. 70V system is scalable for any size property. Entertaining and relaxing to music in the great outdoors has been redefined. 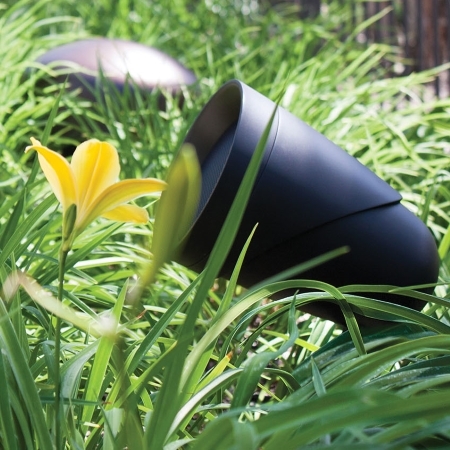 The SONANCE Landscape Series is a totally scalable outdoor speaker system that delivers perfectly-even coverage and unbelievable sound quality throughout a space of any size. SONANCE Landscape Series fully immerses gardens in perfectly balanced sound by strategically placing satellite speakers and buried subwoofers around the perimeter while being hidden amongst the landscape. The result is breathtaking performance and a perfect blanket of audio that will not disturb the neighbours. Unbalanced coverage: the sound effect is poor as left and right channels are unbalanced in most locations. Uneven volume: some areas are too loud and others too quiet. This can impact furniture location and natural gathering areas. Unwanted noise: speakers are usually placed on the house and point out towards the neighbours which can create unwanted disturbances. 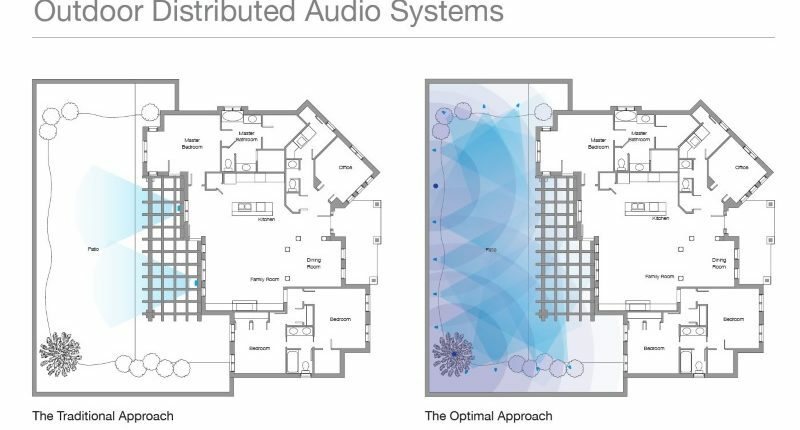 Creating a system composed of satellite speakers and subwoofer envelops a space fully in clear and balanced audio. 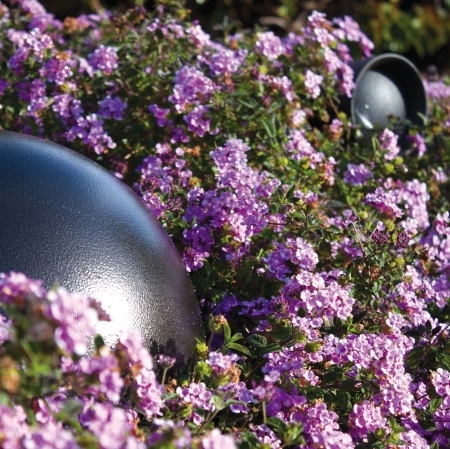 Flexibility: Satellite speakers are camouflaged so they blend into their surroundings and can be placed within the plants and foliage of your outdoor area. No disturbances: the SR1 is positioned not to spill into surrounding properties by facing it towards the owner’s property. Sound from everywhere: the Sonance Landscape Series system uses small satellite speakers and subwoofers perfectly arranged around the perimeter of the property. The outcome is positioned audio that comes from below, above, front and behind. Even volume: this approach produces a similar result to a well layered lighting design that has no hot spots or dark spots and provides smooth even coverage throughout the area. Built-to-last: The SR1 system is constructed of corrosion proof composite that won’t corrode or flake over time and will withstand harsh New Zealand conditions.